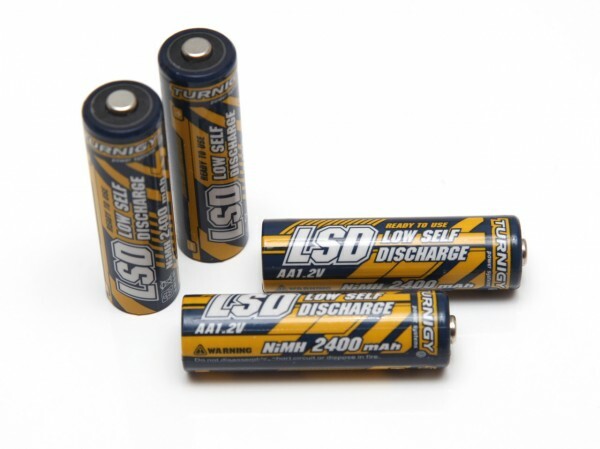 The 1.2V AA 2400 mAh NiMH Turnigy LSD batteries are NiMHs of the newer Low Self Discharge type that retain significantly more of their capacity over time as compared to the normal NiMH batteries that have faster self discharge. According to Hobby King selling these batteries they should not loose more than 30% of their charge in the course of a year when not being used. These Turnigy LSD batteries are rated with 2400 mAh typical capacity and not maximum capacity, though we are going to check if that claim holds true or not. We started testing the 1.2V AA 2400 mAh NiMH Turnigy LSD batteries with initial discharge to see what capacity they still had when we got our order from the online store in order to check their LSD capabilities. The capacity provided was about 60-65% of their typical rated capacity, though we don’t know when they were produced, but according to the claim of about 30% discharge per year they should be made about a year ago. The minimum initial discharge capacity we got was 1505 mAh and the maximum one 1543 mAh from four different batteries that we tested with. The 1.2V AA 2400 mAh NiMH Turnigy LSD batteries have managed to provide very good results in our tests providing 2380 mAh with a discharge rate of 0.2A that we tested as a minimum discharge rate and that is pretty good. The batteries also handle very well under high current constant discharge loads of 2A that was the maximum we tested with providing 1240 mAh. 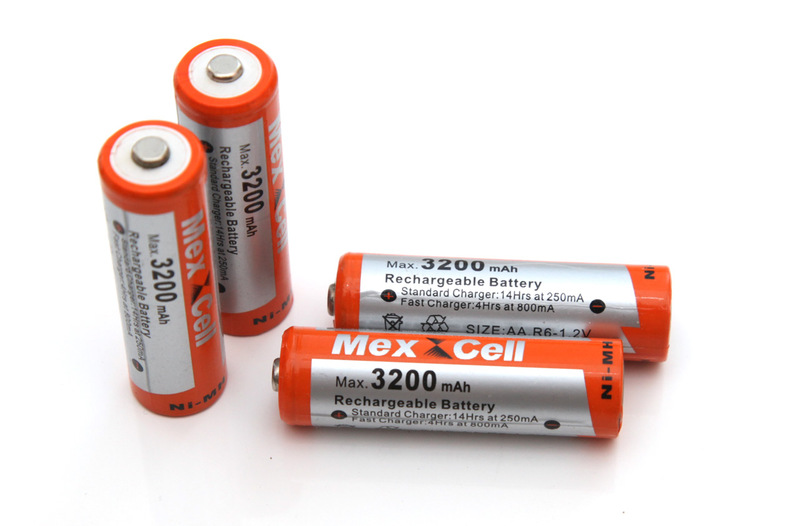 We do our tests of NiMH batteries at a constant current discharge rates of 0.2A, 0.5A, 1A and 2A or with about twice higher as compared to what we test Alkaline batteries at due to the fact that NiMH batteries tend to provide higher capacity and are able to handle better higher current draw. In overall the 1.2V AA 2400 mAh NiMH Turnigy LSD batteries are performing very well and are available at a very good price online, though the shipping cost makes it worthwhile only if ordering more batteries as these are only being sold online and shipped from Asia. The 1.5V AA Duracell Procell Alkaline batteries we’ve got for testing are what Durcell provides for professional and business use – the Duracell Professional is the business-to-business division of Duracell. The batteries we’ve got for testing are under warranty until 03-2019 and Duracell mentions shelf life of about 7 years for these batteries. What Duracell mentions about these batteries is that they can operate in temperature extremes between -20°C and +54°C, and that the Procell batteries are ideal for applications such as torches, telemeters and measuring instruments, microphones and medical devices. According to the specifications that Duracell provides for the 1.5V AA Procell Alkaline batteries for a typical discharge performance at 21 degrees Celsius a single cell should provide about 2900mAh at 0.05A discharge current, ~2700 mAh at 0.1A, ~2300 mAh at 0.25A and about 2000 mAh at 0.5A load. These numbers however are not for constant current discharge, but instead for a duty cycle use that includes a few hours a day and we are testing with constant current discharge, so we expected to get a bit lower numbers in our tests. The Power Profile test checks how the battery handles different current loads before it reaches the cutoff voltage, the test starts at 0A and gradually increases with steps of 0.05A each 20 seconds until it the cutoff voltage of the cell is reached. In the case of the 1.5V AA Duracell Procell Alkaline batteries we were able to reach a current load of 1.70A before the battery has reached the cutoff value of 1V, meaning that these batteries even though Alkaline are pretty capable of handling quite high current loads. 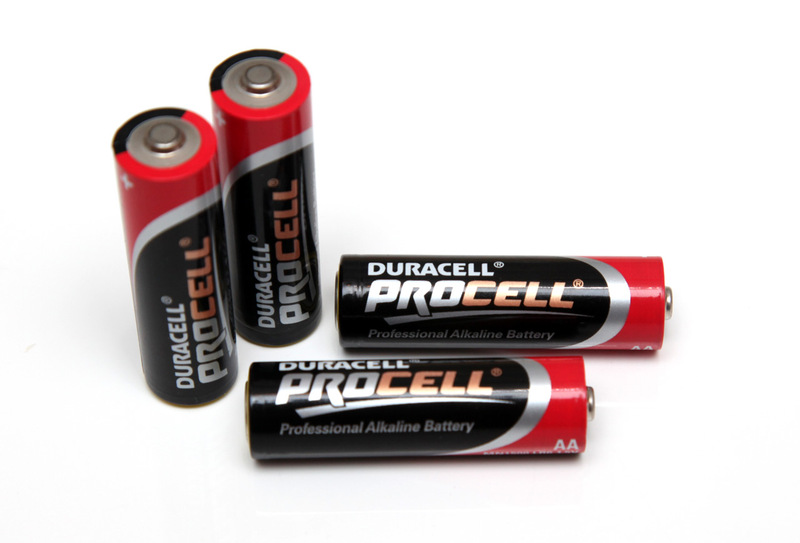 The Open Circuit Voltage (no load voltage) of the 1.5V AA Duracell Procell Alkaline batteries is 1.6V, though it quickly drops to 1.5V under load. We are testing all Alkaline batteries with a constant current load of 0.1A, 0.2A, 0.5A and 1A and measuring what capacity they can provide at these levels, and these Alkaline cells from Duracell are no exception. What was interesting here is that the Duracell Procell batteries are able to handle quite well higher current drain for a while and although there is an expected drop in the useable capacity you get even at 1A constant current load we got quite good performance out of them and this is something that is not very common for Alkaline batteries. Only the battery that we’ve tested with constant current discharge using 1A load got slightly hotter than the ambient temperature of 25 degrees Celsius that we are testing at. At the end of the discharge cycle the temperature of that battery has reached 31 degrees C. We were quite pleasantly surprised by the good capacity and the ability of these Alkaline batteries to handle higher loads with ease and this makes them interesting not only for low drain applications that typically Alkaline batteries are used for, but also for applications where higher current load may be required as they are apparently able to handle well in such situations.